It’s quite bitter without sugar or milk, but it was ready in less than 2 minutes, which is a real time-saver! Traditional espresso is my everlasting love ever since I was 14. I’m not a coffee snob, though. Always looking for new coffee experiences, but yet keep coming home to my favorite espresso. Now I make it with freshly ground beans, which I prefer to grind specially for every cup of coffee I drink. Long black espresso with no sugar or milk in it – I love it! wondering how did I develop this odd attachment to instant coffee? After last summer camp I ended up with a whole box of instant coffee, which we couldn’t drink, so I started to drink it at home. If the answer is “Yes” then I am on the right track with my afternoon cup of coffee today, right? Well, I started digging into it, searching for the truth, reading about the methods for processing both types of coffee – instant and espresso. Both are made from roasted coffee beans. However, beans used in instant coffee are a little bit more pre-processed prior reaching end customers. Whereas, coffee beans used to make the traditional espresso, are far less processed. There are two ways of making it – spray drying or freeze drying. or freeze dried using the same process which is used to make dry ice. Raw coffee beans are roasted and packed either as whole bean coffee, or ground and packed as pre-ground coffee. In my opinion the less processed the coffee beans are, the healthier the coffee is. Caffeine content in instant coffee is less than traditional espresso due to processing the concentrated coffee into dry soluble powder. 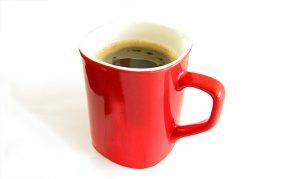 A normal cup of espresso up to 1- 1 ½ oz has about 65 mg of caffeine. Double espresso has nearly 125 mg of caffeine. Caffeine content in instant coffee is up to 80 mg per 8 oz cup. Myth, I think. I couldn’t find any hard evidence supporting that claim. 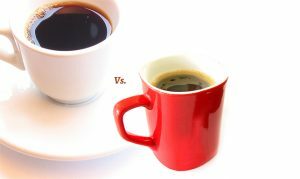 Sure there is one huge and very distinctive difference between instant coffee and espresso – taste. 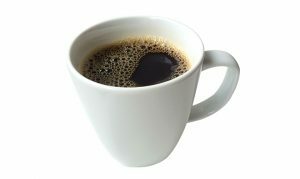 The taste of a cup of instant coffee is bitter and can be enhanced with some additives like sugar and milk. the beans used to prepare regular ground coffee for espresso. Espresso tastes like magic. It’s a whole ritual – grinding, preparation, extracting. The smell of freshly ground coffee early in the morning, the flavor of the steaming hot black coffee – that’s romance for me. Yes, it takes a bit more time to make, but it tastes wonderful – I can drink it all day long with no sugar or milk to spoil its flavor. Well, I will definitely make myself an espresso tomorrow morning. Instant coffee is cheaper than espresso. I just explained why – poor quality of raw coffee beans used. Fact: The lower the cost and quality of the raw coffee beans, the cheaper the ready made instant coffee. Price rage of espresso coffee blends vary greatly due to so many different coffee varieties, their qualities and specific properties. One article won’t be enough to list all of them. So I stop here, for now. I finished my cup of coffee and hope later to read your personal opinions about which type of coffee you prefer. And have you heard or read about one being healthier than the other?